Choosing the right windows and doors shouldn’t be taken lightly when you’re running a business. Besides natural light and a good view, quality commercial windows and doors also provide security to your business and help reduce energy costs. How can we help? Scroll through our services below for more information about our products. We know getting replacement windows is not the first item on the list of things you’d love to do this weekend, so that’s why Jones Paint & Glass makes the whole process as easy and as stress-free as possible. Contrary to popular belief, replacing windows doesn’t have to be a hassle, and it doesn’t have to cost a fortune. When you visit the glass and window experts at Jones Paint & Glass you’ll get to work with knowledgeable technicians who know how to find beautiful, energy-efficient replacement windows for your home at a cost you can afford. 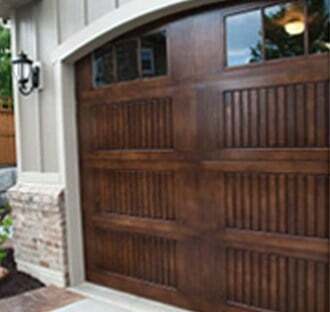 Increase your curb appeal with a redesigned garage door. With a wide variety of designs, colors, materials, windows, and accessories, finding the perfect door to complement your home will be easy. Our selection of garage doors material includes wood, designer fiberglass, carriage house steel, contemporary aluminum, classic steel, and copper. We even have a range of openers to choose from including belt drive and chain drive depending on whether you’re looking for a garage door opener that is quiet, has power, or speed. We can also reinstall your existing door opener with your new garage door. @2016. Jones Paint & Glass Inc. Developed by Local 360 Media.